Hey 2017 Parents! If you're still in town come on by the AOG's Gift Shop! 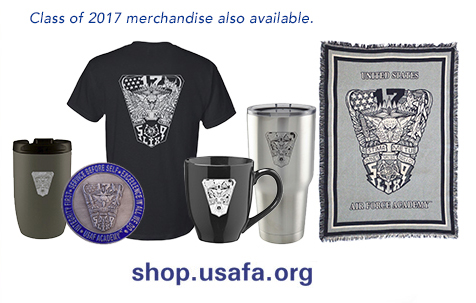 They have 2017 merchandise in stock but it is limited, so stop by to get it while it is still available! You can get it at Doolittle Hall or online! Congratulations again to all of your 2nd Lts!